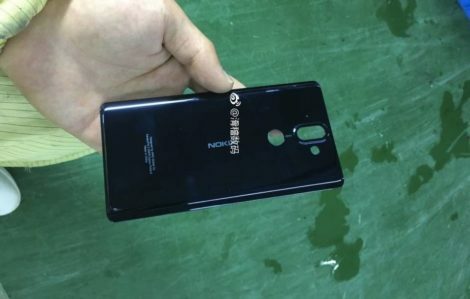 Ahead of its formal launch, the specifications of Nokia 9 have been revealed through a US FCC (Federal Communications Certification). The latest handset from HMD Global will be similar to Nokia 8 in a few areas. The phone reportedly has a 5.5-inch OLED display manufactured by LG, whereas the Nokia 8 uses an IPS LCD display. The Nokia 9 will be powered by a Snapdragon 835 chip. It has dual rear cameras (12MP and 13MP) and a 5-megapixel front-facing camera. While we don’t know how much RAM the phone can hold, we do know it has 128GB of built-in storage, according to the documents. Screenshots contained in the filing suggest the phone will run Android 8.0 Oreo out of the box. The FCC listing also points to the fact that the new Nokia smartphone will be the first in its family to sport an OLED screen – a move that seems to be taken to counter Apple’s iPhone X that also has an OLED display. The only difference between the Nokia 8 and Nokia 9 is the bigger battery. Nokia 9 has a massive 3250mAh battery while the Nokia 8 is backed by 3,090mAh battery. As of now, there are no details about the RAM and connectivity options on the Nokia 9. There are no images of the actual device included in the FCC listing. However, there have been a few renders which could give us an idea of what the Nokia 9 might look like. However, the company has not disclosed any details about the price or availability of the device.